We need your help, both to raise awareness of Launchpad and to raise funds to pay for our crucial work. Eight year old Amazing Grace remembers us on her birthday. 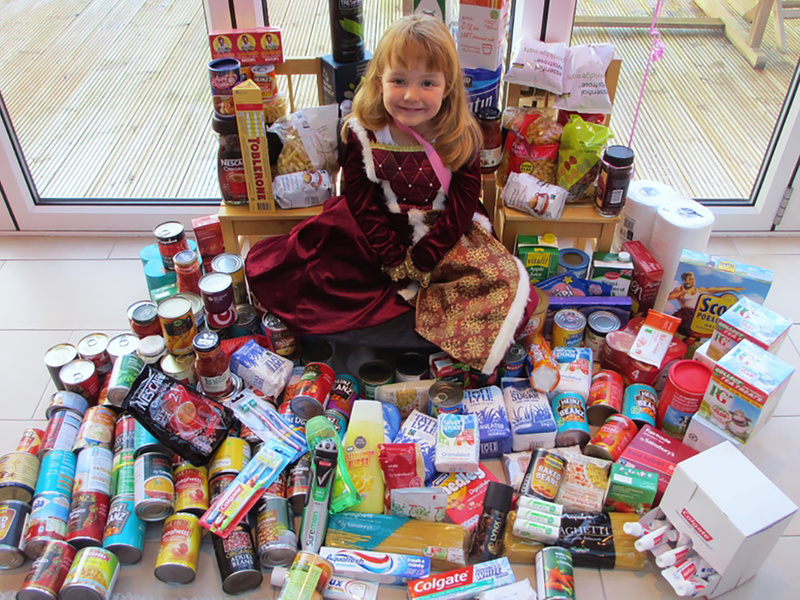 On her fifth birthday she asked for food donations for Launchpad instead of birthday presents. For her sixth birthday she wrote to her local Sainsbury’s asking them to match her birthday money she was donating to Launchpad. For her seventh birthday she did the baked bean challenge getting friends and family to throw a can of water over themselves and donating to Launchpad for the pleasure. For her eighth birthday she won the Chris Tarrant Pride of Reading Award! Contact Sophie if you’d like to share your idea, email sophie.stokes@launchpadreading.org.uk or call 0118 929 1221. We’d love to hear from you and help support you with your fundraising.